If an Insurance Company Pays Off Car Due to Accident, Will My Credit Score Decrease or Increase? 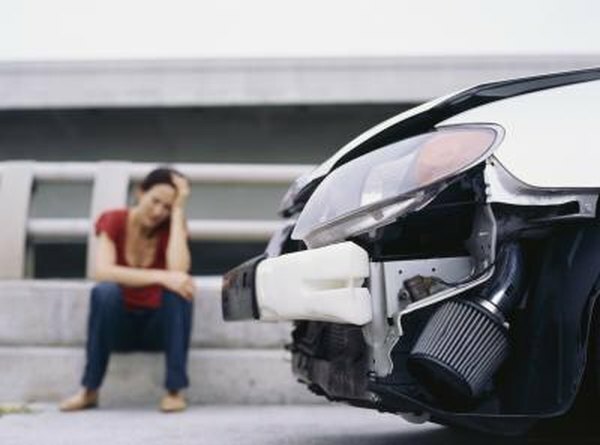 Your insurance pays the actual value of the car when it is totaled. 1. Is "Account Closed by Consumer" a Negative on a Credit Report? 2. Does Paying Off Loans Early Affect Your Credit Rating? 3. Does Having More Than 1 or 2 Bank Accounts Affect Your Credit Score? Auto owners with comprehensive insurance are covered when an accident occurs. Totaled vehicles are paid off when you owe less than the car is worth. It is difficult to gauge the total effect of early payment of an auto loan on your credit score. When you lower your total utilization ratio, your score could increase. When you close an open account, your score could decrease. In all cases, having a positive trade line on your credit report increases your credit score in the long term. Your credit score is generated based on a number of factors including your payment history, length of account history, number of open accounts, number of inquiries, negative accounts and total utilization ratio. When you change one of these items on your report, your score has the potential to increase or decrease. Paying off an auto loan early affects your number of open accounts and your total utilization ratio. According to Experian, an open account with an active payment history positively influences your credit score more than a closed account. When you pay off your loan, you may experience a decrease in your credit score due to the change in account status. The account doesn't disappear from your report. Equifax reports that positive trade lines remain on your report for a period of 10 years from the date of last activity. Your credit score takes your current balance and divides it by your available credit limits. High balances in relation to the credit limit result in a negative effect on your credit score. When you pay off your auto loan, you reduce your total amount owed on your balances lowering your utilization ratio. In theory, paying off this debt could increase your credit score. It depends on how high your utilization is. Consumers with maxed-out credit lines may experience a hike in their score, whereas those with a smaller amount of debt may not notice a difference. If your car was totaled out, you may be forced into a position to buy a new car. Opening a new car loan may have a negative effect on your credit score. The additional inquiries for the car loans could ding your score -- although multiple inquiries for auto loans in a 30-day period are counted as one for your score generation. In addition, opening a new credit line temporary lowers your credit score until you build payment history. Bankrate: If I Pay Off Loan, How's My Credit Score? Bankrate: Will Car Loan Payoff Improve Credit Score? Equifax: FAQ: How Long Does Information Stay on My Credit Report? Does Gap Insurance Cover Negative Equity? Does Marriage Affect Your Credit Score?